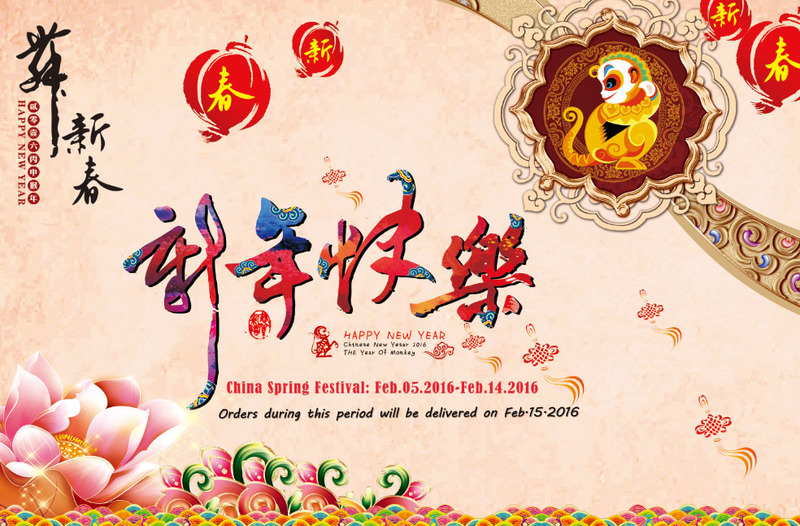 Please kindly be advised that our company will be closed from Feb 5st to Feb 14th, 2016, in observance of the Chinese Traditional Festival, Spring Festival. Any orders will be accepted but will not be processed until Feb 15th, 2016, the first business day after the Spring Festival. Sorry for any inconvenience caused.